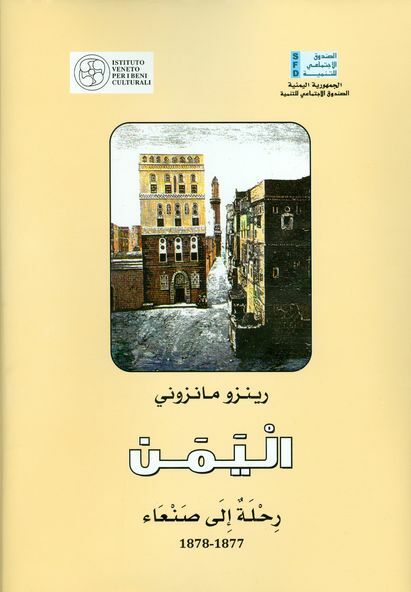 Social Fund for Development (SFD) - Yemen - Sanaa 1877-1878 "Book Translated & Published"
Home » Newsroom » Yemen - Sanaa 1877-1878 "Book Translated & Published"
Yemen - Sanaa 1877-1878 "Book Translated & Published"
The SFD translated and published the book "Yemen - Sanaa 1877-1878" into Arabic originally composed by the Italian travel author Renzo Manzoni, who visited Sana'a City in that period. In the book, Manzoni documented an accurate description of the city as well as many of the names, walls, gates, baths, palaces, sightseeing and its geographical surroundings. It also documented a number of other areas of Yemen that he passed by when he arrived to the port of Aden city on his way up to Sana'a.